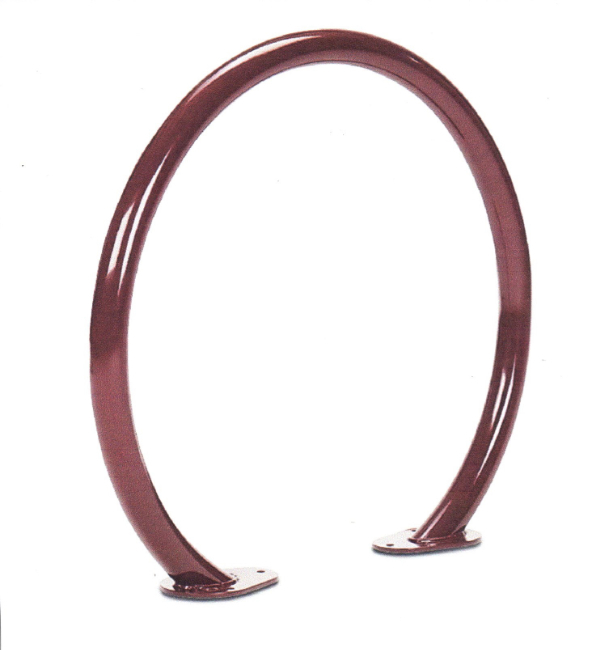 Our Horseshoe Rack features a 2 3/8″ steel semi-circular hoop for 2 bike mounting. 6″sq. welded footpad is pre-drilled for surface mounting.